Everything Polish! : God Save the Tea! Brits love their tea! It's like a mild addiction! lol When I first came to the UK I knew straight away I would be offered a cup of tea every half an hour. When in Rome do as the Romans do, as they say, so I joined the gang of tea lovers and drank 6-8 cups of tea daily. Soon, a morning brew accompanied by a few biscuits became my guilty pleasure. As everyone around was sipping tea, it was hard not to adapt this social habit. Now I know that a well-made cup of hot tea can blow away the cobwebs. My friends asked whether Poles made their tea the same way Brits do. 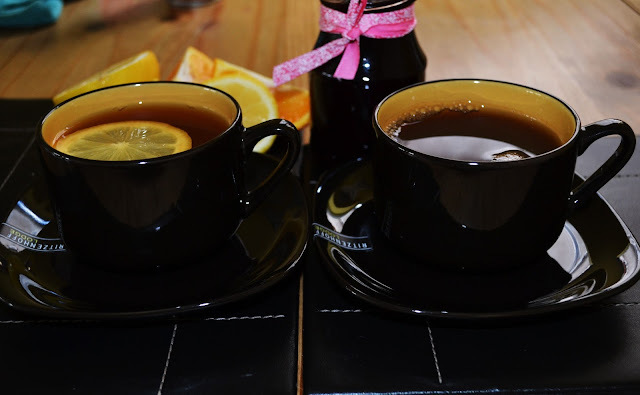 Here's your post about how Poles make their prefect cuppa. It will be followed by a sequel too! Yaayy! Hot Honey Lemon Tea is the most popular flu and cold remedy in Poland. Feeling ill? 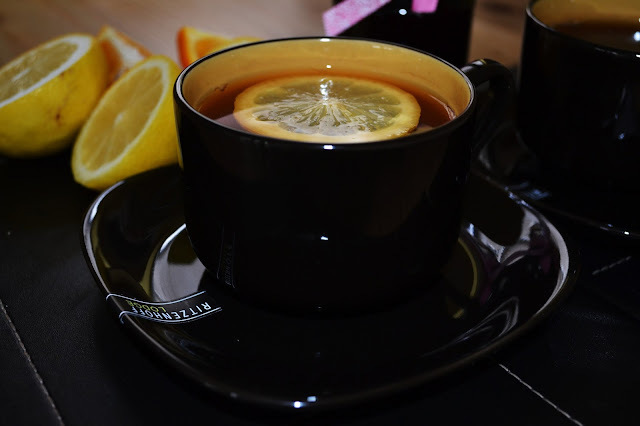 Add 2 tea spoons honey and half lemon juice onto your cup of tea or strengthen it with a shot of brandy. This tea will quickly cure what ails you. In some areas of Poland Christmas Tea is served at dinner on Christmas Eve. Its distinctive aroma and flavour are dictated by the choice of dry fruits and spices. Next to ginger, cayenne pepper, cardamom, cinnamon and clove, you will taste some dry orange skin, dry plums or apple. All is composing a special blend to serve to guests or treat family with a fresh brew at breakfast to celebrate this festive season. Check out the next post for more tea news!